I won’t murder you, but I look like I might. I love Minute to Win It. So I throw minute to win it parties and they’re quite fun. I’m an EXCELLENT host. We had ping pong balls, bowls of water, marbles, oreos, streamers, balloons, clothespins, M&M’s, feathers, and alcohol! What more do you want? 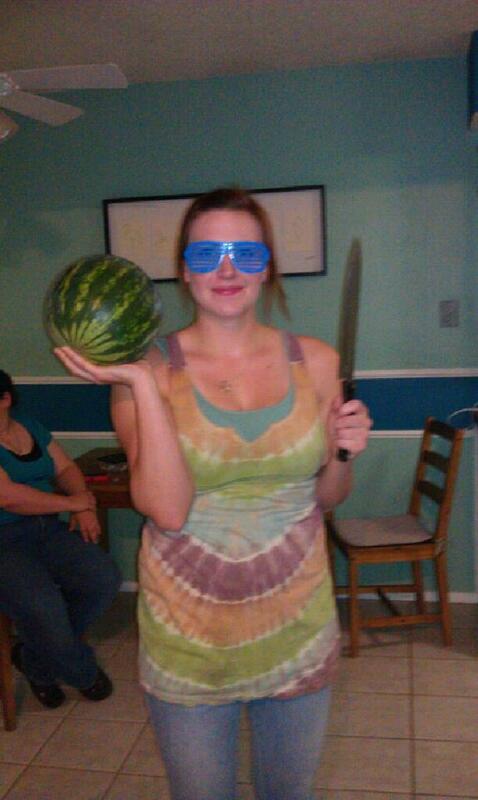 Oh, a watermelon to throw cards into? I’m on it… lemme just grab a knife. Yeah, I'm wearing Tye Dye, what about it? yay streamers!!! Who knew you could have so much fun in 1 minute! 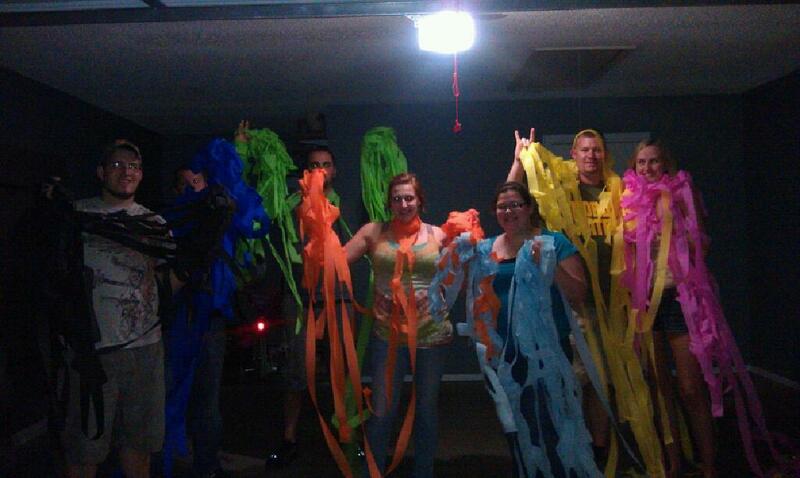 Somewhere kids are in need of streamers and in 1 single minute we wasted 14 of them.